Fortunately, this also means that it is easier for consumers who may not be fully committed to the idea of cruelty-free products to make the transition. The meaning behind a product being cruelty-free mainly refers to whether or not it has been tested on animals. Animal testing has been banned in Ireland since 2013, thanks to an EU directive published in 2010. The directive banned marketing in the EU of any cosmetics developed with the help of animal tests carried out after 2009, or 2013, depending on the type of procedure. It is the policy in Ireland not to authorize any scientific procedures using live animals for testing of cosmetics, but the importation of popular brands who still test on animals in countries outside of the EU is happening. 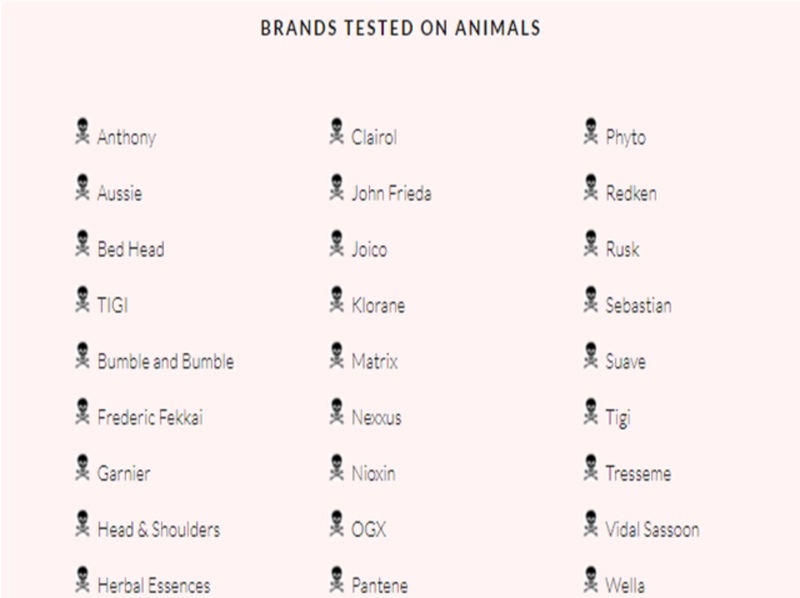 Brands such as Benefit, Clinique, Estée Lauder, MAC, and Maybelline are reported by PETA as continuing to test on animals. The new legislation promoted the principles of the “three R’s”- replacement of the use of animals to the greatest extent possible with alternative testing methods, refinement of scientific procedures to improve animal welfare, and reduction in numbers of animals used. Colleges such as Trinity College Dublin spent over €1.7m between 2005 and 2013 buying animals for experimentation and research purposes. This included buying 25,598 rats, 66,297 mice, six rabbits, 107 pigs, and 41 dogs. It’s important for many people to steer clear of products and companies linked to animal testing, as it is a task that is impossible to be done in a humane way. Animal testing is proven to be unneccessary, but some countries like China require brands to test on animals before they are being brought into the country. Therefore, brands which may be cruelty free within europe and are marketed as such, will actually not be considered a 100% cruelty free brand if they choose to sell in China. The most comprehensive site for quickly finding out whether a beauty product or brand is totally cruelty-free is the crueltyfreekitty.com. The website is simple to use and everything is provided in an easy-to-read. It allows you to look further into exactly why a certain brand or product isn’t vegan or cruelty-free. Brands such as Lush have made their claim to fame on the back of cruelty-free advertising, and continue to take part in activism to stop animal testing. While becoming popular for their bath products, Lush has a loyal following of customers in the skin and hair care products full of natural ingredients and sure to be totally ethically produced. The Lush ‘Big’ shampoo comes in tubs of either 130g, 330g, or 600g. Made to produce massive volume, as the name suggests, this shampoo also has an amazing scent from the main ingredients of lemon, lime, and seaweed, as well as fresh sea water. These work alongside more fragrant ingredients to create a surprising non-citrus scent that lasts for multiple days after washing. The shampoo foams up hugely, and a little goes a long way. The Veganese conditioner was also put to the test. With a yummy scent, this conditioner is light and yet works wonders. The Lush UK website says that the conditioner is “packed with seaweed, lavender, and rosemary for lashings of gloss and bounce”, and is also designed to work to improve the health of your scalp. Lush also has popular solid shampoo bars and conditioners to cut down on any chance of packaging waste, and they even sell solid blocks of henna hair dye – a true treatment and colour all in one! Henna hair dye works with your natural colour and more so puts a type of varnish on it rather than chemically changing the hair. It gradually and naturally fades over time. Henna is a natural conditioner, and has been used to cure dandruff and itchy scalps! Dry shampoos are popular among many college students these days, and while Lush provides their own ‘No Drought’ dry shampoo, Batiste is vegan and cruelty-free (though they do sell in China, products in Ireland would not have been tested), as well as Colab which can be found in Penneys. When it comes to dry shampoo, many people are concerned about the inclusion of talc in a lot of products as talc containing asbestos is proven to be carcinogenic. These are alongside the usual concerns of the effects using dry shampoo as it’s purpose is essentially to dry the grease off of your scalp and roots. Lush can be seen as a higher-end brand, so if you’re not really willing to splash the cash or face the landslide of funny scented products, Cruelty-Free Kitty offers plenty of quick suggestions of popular brands that can be more affordable.